The Spirit of Place is one of my ideas or personal concepts about photography. At its core is the idea that photographs are created by the photographer through use of light, exposure, and composition. It is our personal view-point or way we translate the scene in a visual way. This photo uses shadow and light, lines, and people to create the composition of the place. 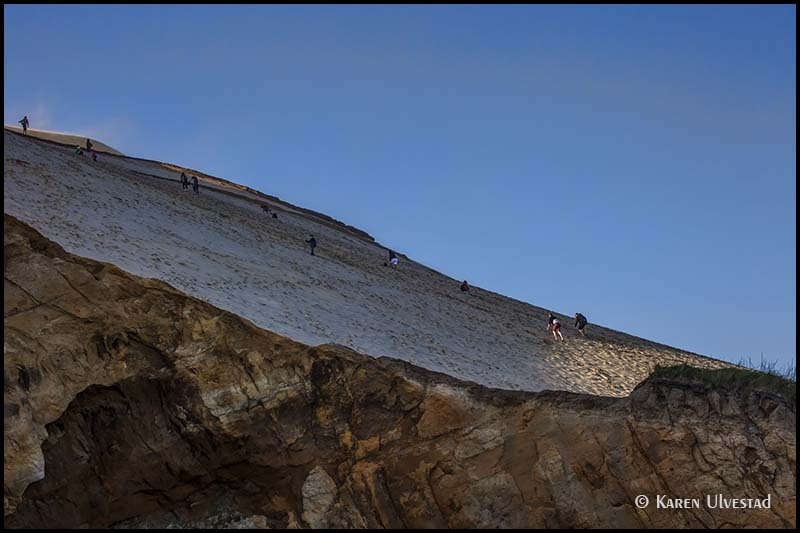 In this image, the viewer sees the blowing sand (top of dune), the rocky wall in the foreground, and the people making their way up the sand dune. It speaks of man and nature co-existing in the late afternoon light. Nature is one constant in our lives that is ever-changing, yet remains the same. The challenge for the photographer is to take existing elements, and create a pleasing photographic image. Photography is a tool to document the world around us, yet our personal view-point is always present in our images. 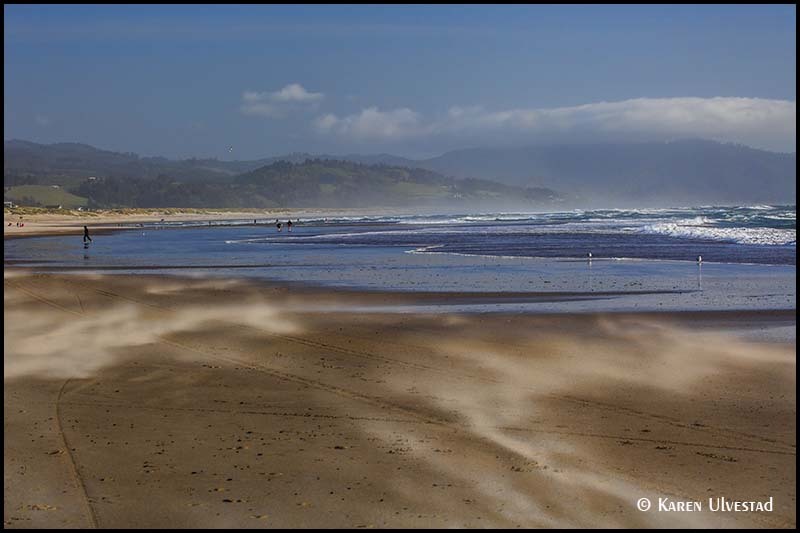 The blowing sand in this photograph creates designs on the sand that mimic the wet sand reflecting the blue sky and the ocean waves. In this image, one could see the hillsides in the background as repeating the wavy shape created by the sand and ocean. The scene is completed by all the people enjoying the beach, whether walking along the water or sitting in the sand. By including people, I have given a reference to the size of the landscape. Another way to look at this scene is to eliminate or hide the man-made or man’s influence upon the scene. By moving the point-of-view, this image the viewer sees the ocean waves and four gulls. Yes, there is some indications of civilization, but they are not the main components of the composition. Now to end this entry, I’ve added a little different concept. 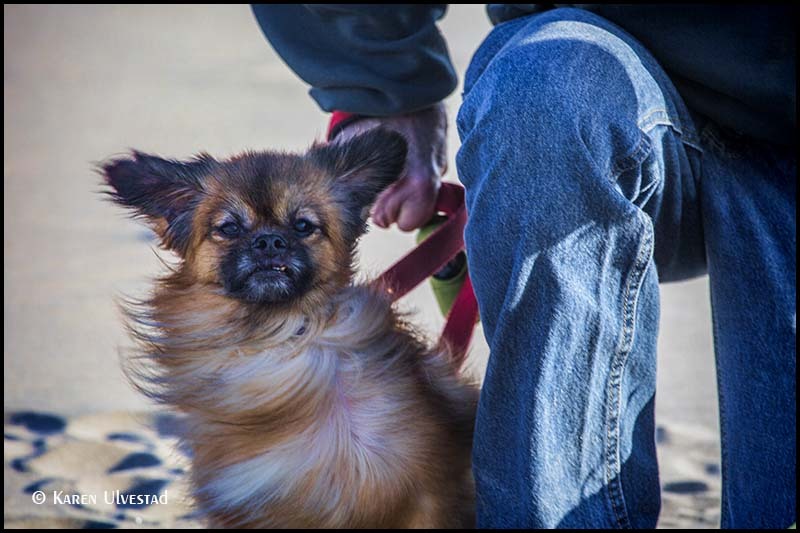 This image is titled Windy. It leaves the question, how do we as photographers show wind or other elements in our images? What is that special ingredient that we have included to make our photograph stand-out from the millions of images on the internet? 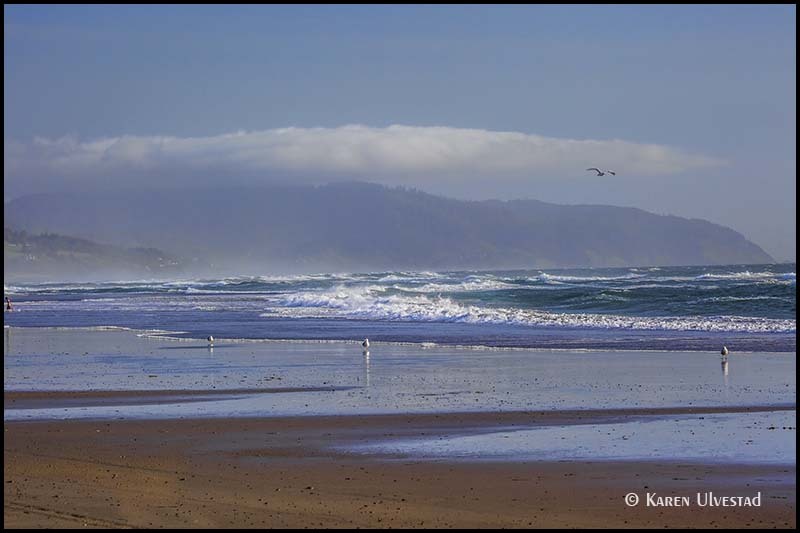 Stay tuned for more. . .or simply join me for my Spirit of Place workshop on the Oregon coast in June.